Let's Do It for ME! : LDIFME Shop Now Open – with free delivery 29th - 30th October! LDIFME Shop Now Open – with free delivery 29th - 30th October! We declare the LDIFME Shop is now open! 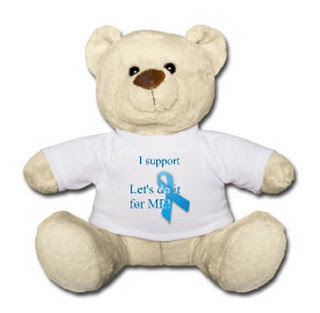 The LDIFME shop provides a range of products for both awareness and fundraising. All proceeds go to Invest in ME. For each accessory (mugs, badges etc) and every item of kid's clothing purchased, £1 goes to Invest in ME. For each item of adult clothing purchased £2 goes to Invest in ME. If you wish to donate more than this amount, you can do so here – we have added these details to the product description for every item. 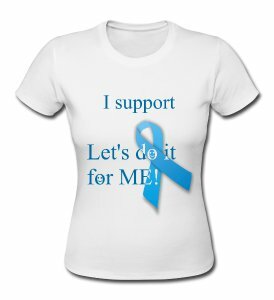 We plan to add further items to the shop to include the Invest in ME logo, but are waiting for the use of the logo to be approved by Spreadshirt (as it is Copyrighted). You may wish to wait until these items are available to place your order. Unfortunately we cannot give a date by which they will be made available, as this is out of our hands. If you place your order 29th - 30th October you will qualify for free shipping. Use the voucher code WITCHINGHOUR at check out to apply this discount. The best way to find out more is to visit the shop. *The Let's do it for ME! 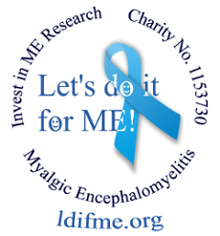 awareness and fund-raising campaign is run by ME sufferers in close cooperation with the charity Invest in ME. 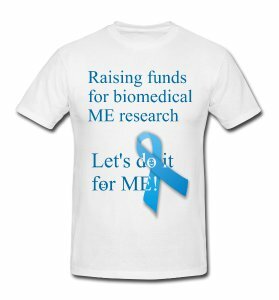 Your donations go directly to Invest in ME and towards the UK research centre. See this campaign highlighted on the Invest in ME website here. Joyce's 50th Birthday Gift for ME!